BHRC has released a statement calling for the immediate release of and production of evidence against Li Yuhan, a Chinese lawyer known to have defended numerous human rights cases over 26 years in practice. BHRC also calls upon the Chinese authorities to affirm, enforce and ensure full respect for fundamental rights of human rights defenders as guaranteed under national and international law. At the time of her arrest, Ms Li was defending lawyer Wang Yu, who was charged with the crime of “subverting state power” following the 709 Crackdown. 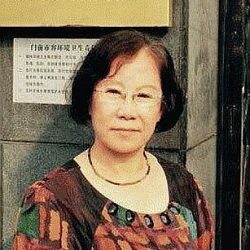 Ms Li’s arrest and detention appears to form part of the Chinese authorities’ wider approach at suppressing lawyers’ freedom of expression, as demonstrated by the continued detention of many human rights defenders more than two years after the 709 Crackdown. In its statement, BHRC raises concern for Ms Li’s safety and health in custody, in light of information that Ms Li has been subjected to abuse and mistreatment during her detention and Shenyang police’s reputation for using torture against human rights defenders and dissidents. Ms Li also suffers from heart problems and other health issues. BHRC continues to be alarmed at the arrest and detention of human rights lawyers across China without justification and their prosecution for criminal acts on insufficient evidence.